If you’re interested in a career at a fast-paced Honda dealership, then you’ve come to the right place! Our Honda dealership in Fresno, CA, is seeking motivated, passionate individuals to join our team. When you step onto our lot at Clawson Honda of Fresno, you’ll notice that everyone who works here is dedicated to what they do. We believe in taking our time with our customers and matching them with the perfect new, used or Certified Pre-Owned Honda. Our Honda financing team offers affordable loan and leasing options, and the technicians in our Honda service center know their way around every Honda car, truck, SUV and minivan. 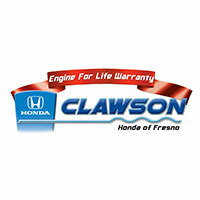 Clawson Honda of Fresno is made up of more than just cars – it’s made up of people. People who believe in thinking differently from other dealerships, and who are dedicated to make the car-buying process as enjoyable and stress-free as possible. When our customers return to our dealership it won’t be because of our facilities or our specials – it will be because of our people. If you think you’re ready to join the top-notch team at our dealership, fill out an application online! Our Honda dealership is family-owned and -operated, ensuring that we remain true to our most treasured ideals. We offer a variety of excellent warranties to our customers, including the popular Engine for Life Warranty. If you’d like to join our team and start serving the people of Fresno and beyond, apply for a Honda job at Clawson Honda of Fresno!